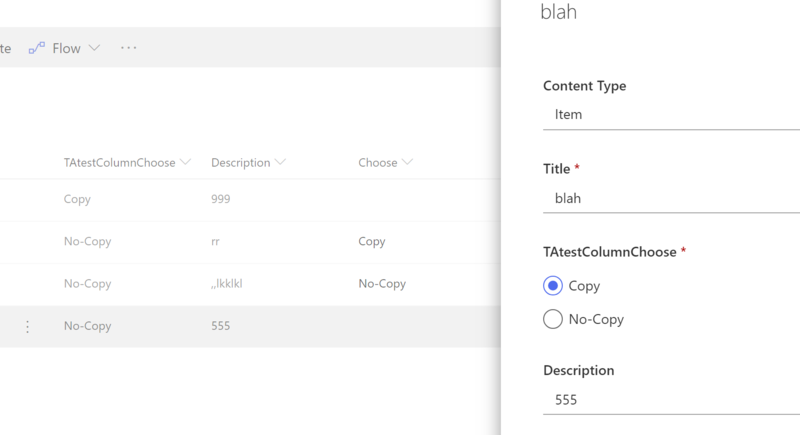 I have a requirement, if a user chooses 'Copy' from a drop down an additional field needs content, and if the user choose 'No-Copy' then the additional field CAN be blank. Here is my script and when it runs it works fine, but if 'No-copy' is selected afterwards the change does not happen in the list. So I believe its my script that is at fault. Not the answer you're looking for? Browse other questions tagged validation-list-items column-validation or ask your own question.